TBJEE 2019 is a joint entrance examination which is conducted every year by the Higher Education Department of Tripura Board of Joint Entrance Examination. Students who will appear in TBJEE 2019 can take admission in the course of Engineering, Technological and other professions against the seats reserved for the state of Tripura and also the seats of different state institutions. In this article, we will provide you with the updates for TBJEE 2019: Application Form, Eligibility, Pattern, Dates, Syllabus. University has not released anything yet regarding TBJEE 2019. The section will be updated once there is an official announcement. In this section, we will talk about all the important dates related to TBJEE 2019; the university has released the official dates. In this section, you will find the eligibility criteria led down by the authority, only the students that qualify the criteria will be able to apply for the exam. Nationality: To appear for the exam you must be a citizen of India. 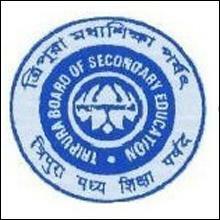 Qualification: The candidate should have successfully cleared/appeared /due to appear at the Higher Secondary Examination of Tripura Board of Secondary Education / Central Board of Secondary Education or equivalent examination in the year of Joint Entrance Examination, with the subjects in which he/she desires to appear at the Joint Entrance Examination. Residential Criteria: Only the candidates that are the permanent resident of Tripura or have parent residing in the state of Tripura continuously for not less than ten years can apply for the exam. Non- Residential Criteria: For those candidates that are not the permanent resident of Tripura in order to apply for the exam their parent needs to be an Officer on deputation to the Government of Tripura / Officer of the Central Government working in Tripura and has served in Tripura continuously for 3 (three) years or more. Also, that candidate must have passed Higher Secondary Examination from an Institution of Tripura which is established you are eligible for appearing in the Examination. There will be four different question paper booklet for the four subjects of Mathematics, Physics, Chemistry, and Biology. The Maximum Marks of each question paper will be 100. The type of questions will be multiple choice. Number question in each booklet will be 50. Each question will carry two marks for the right answer. There will be no negative marking in the case of the wrong answer. The syllabus for TBJEE 2019 engineering and architecture exam will consist of topics from class 12th; the curriculum will include mainly physics, chemistry and Maths/biology. The syllabus for the exam will contain all the topics which are essential for the examination. The candidates will be able to apply for TBJEE 2019 through online mode only. The application forms will be available on TBJEE official website. Once the application form has been filled, the fee for application form has to be paid Rs. 350 for general category and Rs 150 in case of reserved. The authority conducting the exam will issue the admit card for TBJEE 2019 after the registration process. The candidates have to carry there admit card along with themselves to the examination hall, failure to do so might result in the expulsion. The hall ticket will contain all the vital information about the candidate like name, roll no., venue of the exam, date & time. After the successful commencement of the examination, the conducting authority will release the result on the university official website. The candidate will be able to check their result after entering the appropriate information required. After the announcement of the result, the university will release a list for the candidates shortlisted for counseling. How can I register for TBJEE Application Form? The hall ticket and admit card for TBJEE are the same. Where can I report mistakes in my TBJEE admit card? We advise you to contact the examination conducting authorities immediately if you find any discrepancies in your TBJEE hall ticket. For any queries regarding TBJEE 2019, please comment below.